I have tried many times to install the latest Oculus update, 1.23.0 but it never ends. It gets stuck in step 12 of 13. I tried to uninstall Oculus and reinstall it and it updates all the steps except step 12. It stays thinking when trying to install ... I do not know what else to do. Has anyone else had this same problem that can help me? Thank you very much. 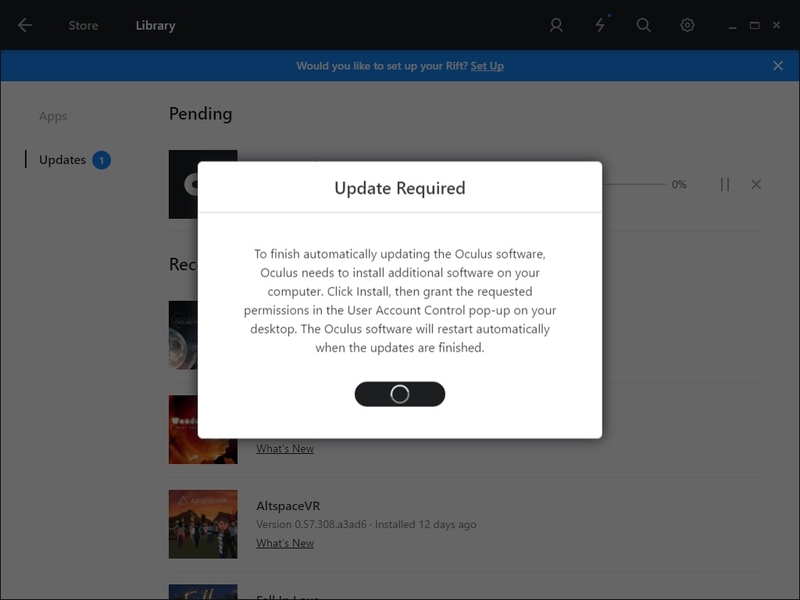 I was having a similar issue where it would prompt me to update, but when I clicked the update button it would close the Oculus app and just never do anything. After restarting machine this behavior seems to have been resolved.